It's good to be the king. When you rule the land by divine right, none may question your authority and you may do as you will. You possess absolute power, giving your whim the force of law and drawing the people of the land into your majestic presence as ants are drawn to sweet, pure honey. 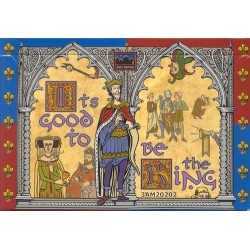 It's good to be the king. When you rule the land by divine right, none may question your authority and you may do as you will. You possess absolute power, giving your whim the force of law and drawing the people of the land into your majestic presence as ants are drawn to sweet, pure honey. Unfortunately, you are not the king. You are one of the ants. The object of It's Good to Be the King is currying the most favor with the king by providing the most important elements for a series of events to honor him. The player who has the most favor points at the end of the seventh round of play is the winner. The game is suited for 3-6 players who do not mind backstabbing their opponents. 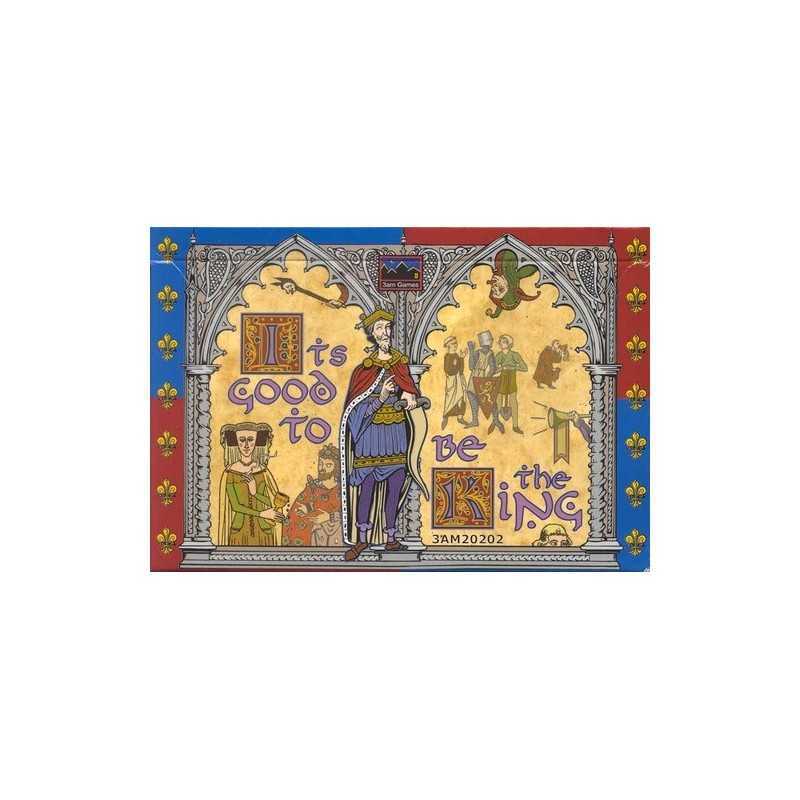 It's Good to Be the King is a card climbing game for 3-6 players ages 13 and up.